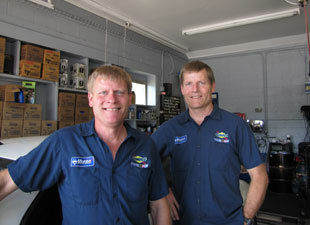 all performed by Certified Mechanics who are also Alexandria’s most honest and loyal employees. Come see why Mount Vernon Sunoco has so many repeat customers. Our ASE certified mechanics are honest and loyal employees. Since we are not commissioned mechanics, there is no pressure as we are not motivated to perform any unnecessary repairs. We repair what is necessary to fix your car and our customers tell us that we provide the best auto service in Alexandria. Mount Vernon Sunoco will handle all of your automotive service and repair needs. We are conveniently located on Richmond Highway North of Fort Belvoir and Mt Vernon Memorial Highway and South of Old Mt Vernon Road, not far from many areas of Northern Virginia including Fairfax County, Springfield, Annandale, Falls Church and Arlington VA.
With 3 service bays including an Emissions and Inspection bay, our ASE certified mechanics are ready to take care of your car and get you back on the road. 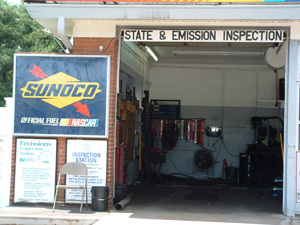 Mount Vernon Sunoco of Alexandria, VA is here to take care of your car repairs and all your vehicle maintenance needs. It is a remanufactured engine with new wear parts, tight tolerances and run-tested reliability.